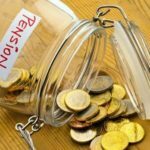 Divorce, although increasingly widespread, is nevertheless free, the bill can quickly add up especially because of the attorneys’ fees, pension applications or moving expenses. The cost of a divorce depends on several elements but essentially being the complexity of the situation: amicable divorce or fault and the common heritage of the married couple. The first element to be taken into account when assessing the cost of a divorce to the type of divorce must be involved. Attorneys’ fees will be lower for a amicable divorce because both parties are expected to agree at least on most of the points in question. 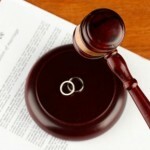 The procedure will be shorter and lower than in the case of a fault divorce fees. For uncontested divorces there are packages capped 1500 euros for the most common cases, it is therefore an average but that can give you an idea on the cost of your divorce. On more complex divorces, the lawyer you hired assess its fees based on the time taken to process your application, the cost will be between 2500 and 10000 euros. With these fees, you will have to possibly add legal expenses (bailiff fees or assessments are common for fault divorces). Its can be high, averaging between 500 and 2000 euros. 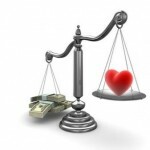 To know that these expenses will be to pay by the spouse who loses the case. Come to be added to these elements, real estate and financial assets of the couple. To make sharing a notary will probably be committed. Notary fees vary greatly depending on the importance of heritage. 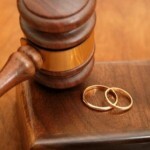 You can base it on an average of between 500 and 1500 euros for the majority of divorces. Finally, alimony may be requested from a husband to support children or his ex-wife. Depending on your income, you can apply for legal aid. 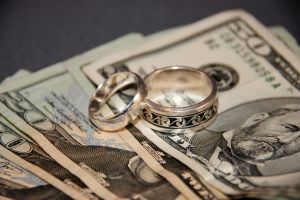 What is the purpose of alimony? 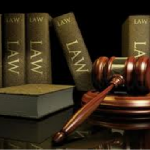 What is the correct criterion of choosing lawyers?